$1.25 million investment is part of a $20 million project to spark revitalization in the community. 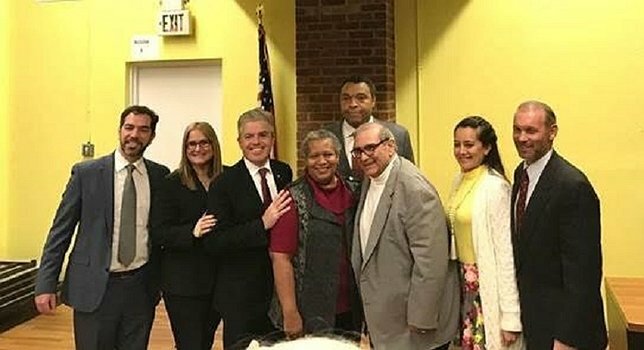 (L to R): Ryan Porter, Renaissance Downtowns; Councilwoman Susan A. Berland; County Executive Steve Bellone; Councilwoman Tracey A. Edwards; Leg. William “Doc” Spencer; Huntington Town Supervisor Frank Petrone; Andrea Bonilla, Community Liaison Source the Station; and Leg. Steve Stern. Huntington Station, NY - January 9, 2017 - Legislator William R. Spencer, M.D. was joined by County Executive Steve Bellone, Town of Huntington Supervisor Frank Petrone, Legislator Steve Stern and community organizations at the Huntington Opportunity Resource Center today to announce funding to expand infrastructure along New York Avenue in Huntington Station. The $1.25 million approved at the December General Meeting of the Suffolk County Legislature will be used to complete a comprehensive report, engineering and design plan for sewers south of the Huntington Train Station and is a key component to the long awaited revitalization efforts in the community. 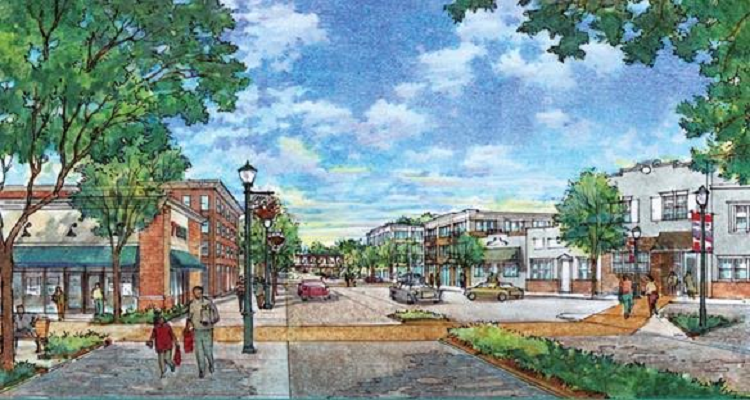 Rendering of revitalization plan for southern side of Huntington Train Station. Rt. 110/Depot Road Intersection. Photo Credit: Renaissance Downtowns. When considering the available funding, Huntington Station was marked as a strategic location for infrastructure improvements to trigger economic growth in the County. This investment is the roadmap for the larger $20 million dollar project included in the 2017 Capital Budget for the construction of sewers in subsequent years. The project is expected to lift the local economy, provide new housing opportunities, create jobs, and increase property values. Andrea Bonilla, a longtime Huntington Station resident and the Community Liaison for Source the Station stated, "Source the Station has been collaborating and working with the Huntington Station community for over 4 years. We understand the importance of sewers for a sustainable revitalization of our community, and are excited to see this component come to fruition as we all continue to strive for a better future for all Huntington Station stakeholders." Subject: LongIsland.com - Your Name sent you Article details of "Local Leaders Announce County Infrastructure Funding for Huntington Station"